We understand that retail and leisure environments are focused around the customer, ensuring that they are given an exceptional retail experience that they cannot get from online shopping. Increasing footfall into your store or facility is vital, so it pays to make your premises as attractive as possible. With online retail becoming such a huge competitor to high street and out of town stores, providing a unique customer experience is key. The right lighting in a retail store or leisure facility can make all the difference between a customer browsing and making that sale. Lighting can be used to direct customer focus to a sales promotion or to grab their attention. Light can be tailored in terms of colour temperature and intensity to create different scenes, to make your facility THE destination for your visitors. Draw customers into your premises with the aid of creative lighting, turning your store window into a striking visual exhibition. Give your displayed products the maximum impact possible, by accentuating promoted merchandise to increase foot traffic into your store. A customer-focused lighting system encourages customers to stay in the store for longer. A prolonged customer visit increases the opportunity for multiple sales. An engaging lighting style can arouse customers, making them pick up products for purchase, and influence impulse-buying at POS, ensuring that they leaving having had a positive experience and purchased what they wanted. Lighting can be finely-tuned to complement a food outlet’s own distinct character or brand - from bright and breezy cafe or diner, to warm and intimate dining. A cleverly designed and controllable scheme is also one of the easiest ways to create contrasting zones and spaces that work in harmony with the mood, ambience and occupancy levels of your restaurant. Shape your brand identity, illuminate signage, evoke emotion and tune the lighting to your target customer’s requirements, to get the most out of your space. Different demographics respond to different lighting styles, so customise your facility to give your visitors an experience that ensures they leave happy. Create a warm and memorable experience for every guest who walks into your reception. Lighting in a reception area plays an important role for shoppers, diners and visitors, aiding the transition from outside to inside the heart of the venue itself. Reception lighting ‘sets the scene’ and helps to create the right first impression. Emergency lighting is important in retail environments, to ensure that customers, visitors and staff can vacate the premises quickly and safely in the event of a loss of mains power. In retail and leisure environments, the majority of room occupants will be unfamiliar with their surroundings. 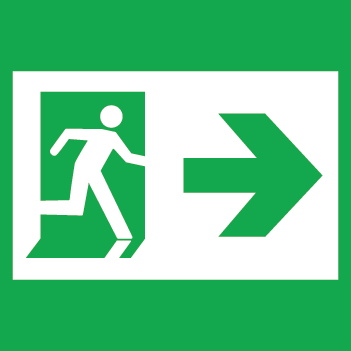 Therefore, in an emergency, it is important that the lighting makes people as aware as possible about the quickest possible escape route. Our retail and leisure sector experts can work with you at every stage of your lighting specification process. We understand your business needs and we have designed a portfolio of retail and leisure solutions to deliver on these requirements. Every product we sell is rigorously tested to ensure its suitability for your specific needs.